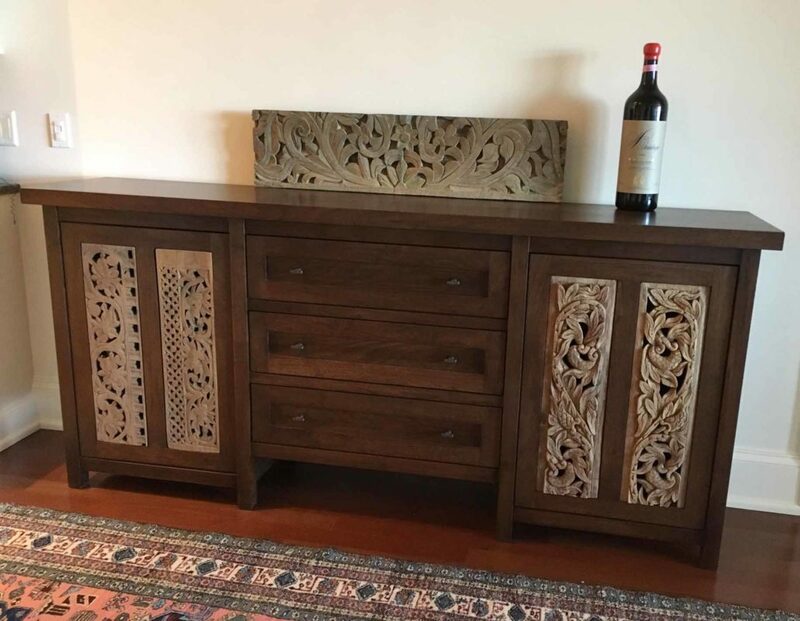 We designed and built this custom furniture for a gentleman who was renovating his North Asheville condominium. While traveling in Indonesia, he and his wife picked up these carved panels and had them in storage for many years. 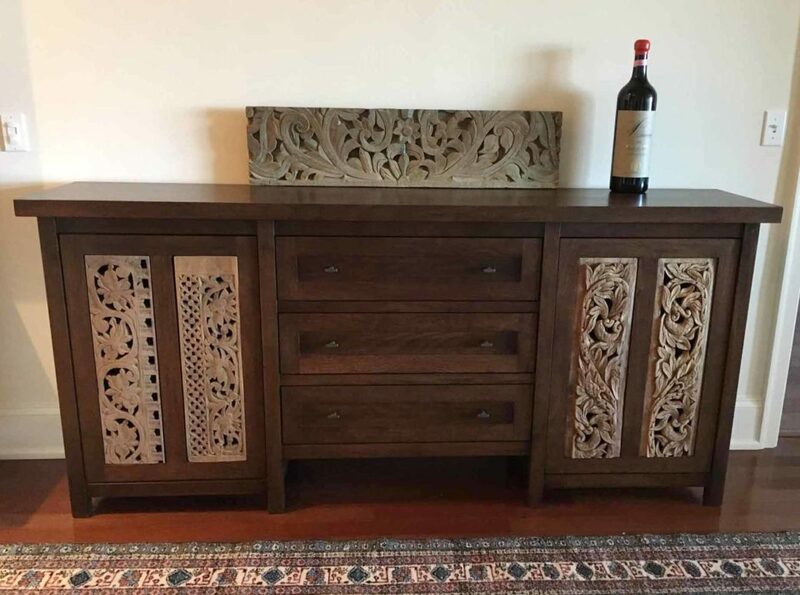 He asked that we create a walnut sideboard/buffet that incorporated these carvings, so we used them as panels in the cabinet doors. 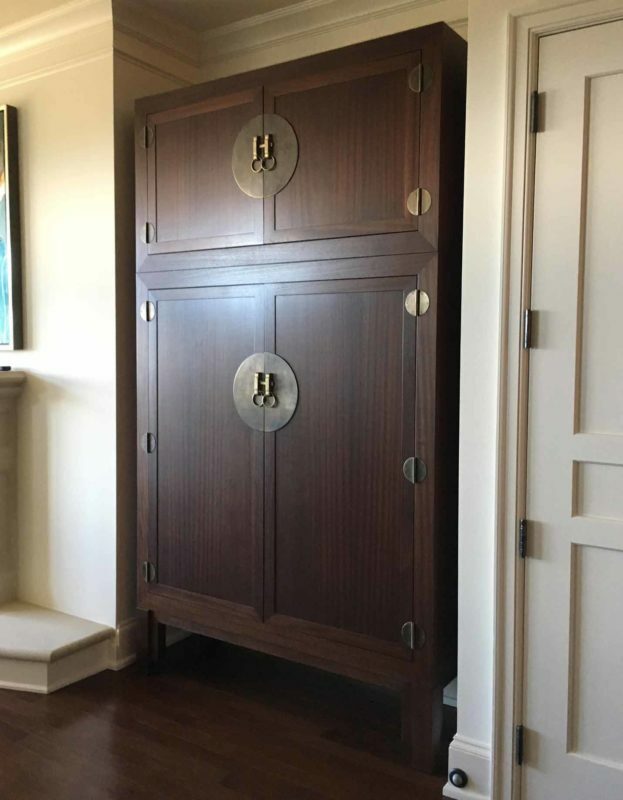 We also created two, large matching cabinets, which sit on either side of a doorway. Keeping with the Asian style theme of the interior design, we used ribbon stripe sapale with oriental style brass hardware. 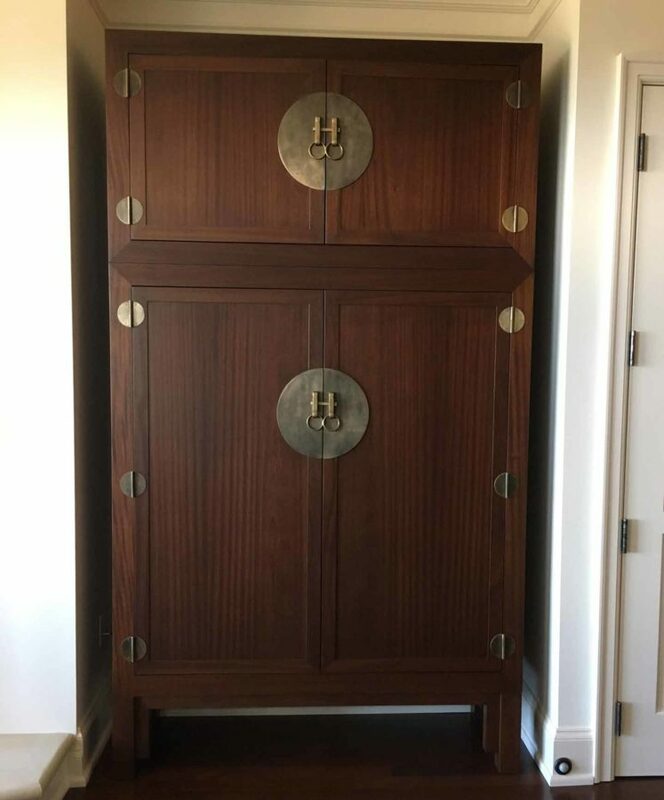 One cabinet is a entertainment center, which hides a large screen TV, and the other is a wine bar and liquor cabinet. We also built a desk for him, which isn’t shown in the photos.